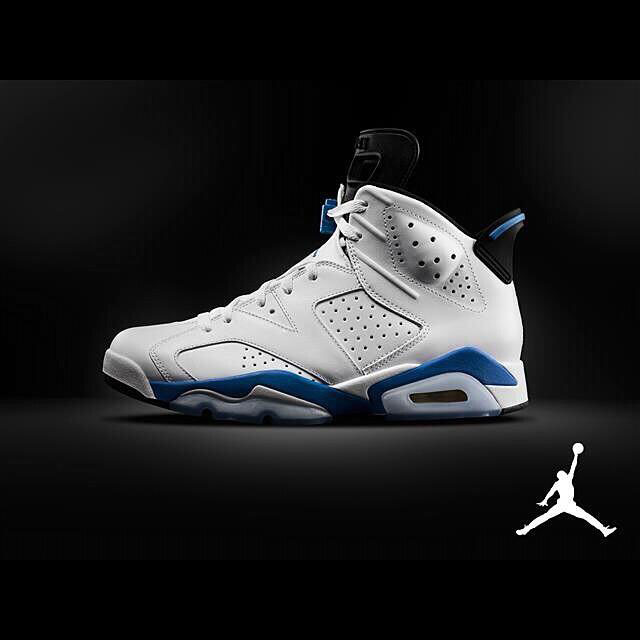 Here's an official look at the 'Sport Blue' Air Jordan 6, one of the most anticipated retro releases of all-time. Last made available in 1991, this 6 features a white leather build with a black tongue, inner lining and pull-tab. The blue hue that gives the shoe its nickname appears on the lacelock, pull-tab trim, midsole and outsole logo. The 'Sport Blue' 6 drops Saturday, August 30 for $170.